The Canadian experience is on the move. The luxurious cars are becoming a frequent spot. The mountains and the landscapes surrounding Vancouver are no longer that amazing: the bad side of turning into a habit, I guess. Lettuce and turkey sandwiches have become my daily lunch menu. My journey to school on the 8.05am Skytrain service from home to Waterfront is already a routine. At about 8.35am I take the elevator to VGC, the school where I am studying, together with other schoolmates because the show begins at 8.45am. Yes, the show. Curtis (my VGC teacher) is a star. He teaches us methodology, he shows us our mistakes and how to correct them, he gives us practical examples to check what works and what doesn’t. Curtis turns us into the protagonists of what could be the 5 longest hours of the day. They could be, but they are not at all. On the contrary, they are 5 hours which feel like 5 minutes. Awesome!! Oh, I forgot. For those whom the initials TESL do not mean anything, it stands for Teaching English as a Second Language. A course to improve my personal and professional skills and my command of English language. The perfect course. 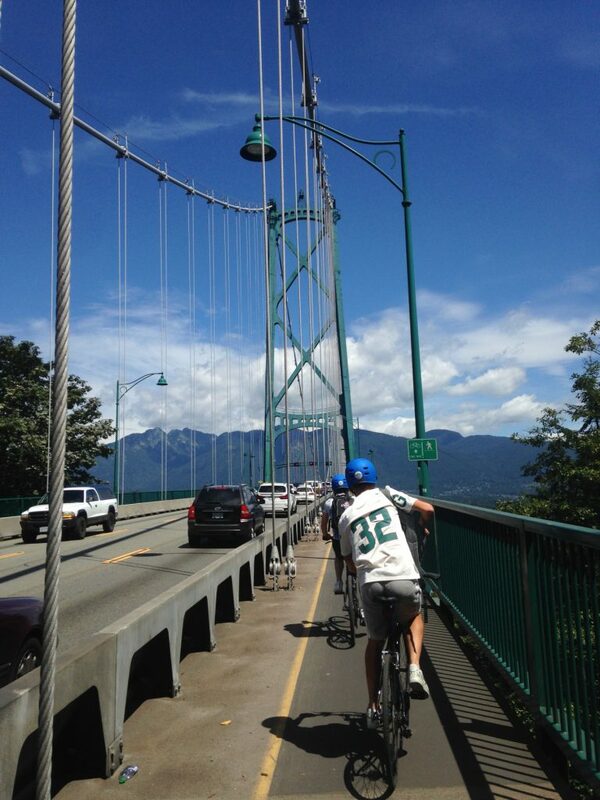 Bike route through Stanley Park. Photo on Lions Gate. 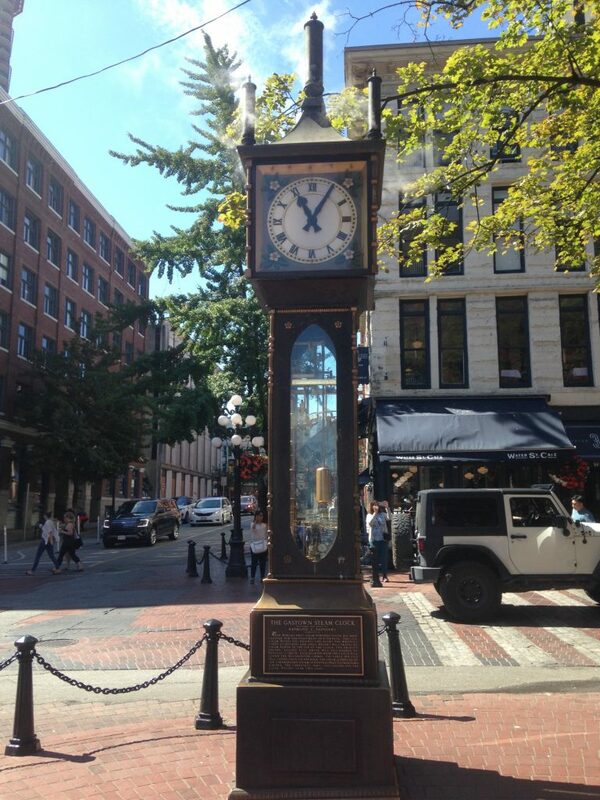 Gastown clock. One of the symbols of the city. What are we doing in this course then? What is it useful for? The course began with an introduction to all the teaching jargon, the terminology that we are using every day. Once we were familiarized with these terms, we looked into the different approaches and trends that have been used or are still being used. And… blessed public examinations!! I had already gone through all this stuff, which I have used to revise and learn a wide variety of practical examples. Yes, you might pass the theoretical part of the Spanish public examinations to become a teacher without even knowing how to apply any of these approaches. The first week ended learning how to plan a listening activity. Easy, isn’t it? No way!! There were so many things that I did’t know and I used to carry out completely wrong! Now, I know, without any doubt, the necessary tools to create a good listening task. The most important thing is that it needs to be adapted to the students and must be useful. After dealing with the Listening skill, we have started the Reading skill. Here we go again. 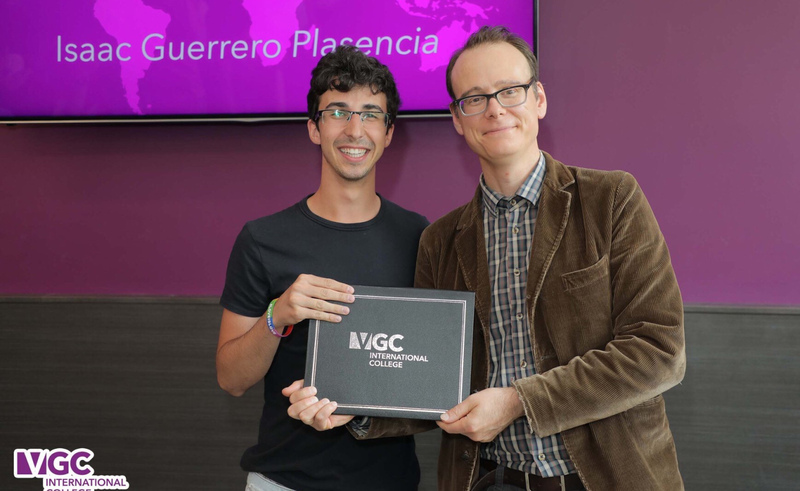 What did I learn in my 4 years at university, two of which were dedicated to English teaching? If my TESL course continues like that, and everything indicates so, I am going to learn more doing this 5 yea… week-course than in all those 4 years. Honestly, I am delighted, excited and amazed. Along this week we are starting the observations. What are they about? To sum up, you go into a classroom led by a teacher who you don’t know and you must analyze his/her teaching practice, bearing in mind what we have previously seen in the lessons. Simply fantastic and essential!! By observing other colleagues and analyzing their mistakes you may learn a lot of stuff. New ideas that you would have never thought of, proposals to improve that you may have, but your colleague had not thought of. A critical analysis that helps you modify your teaching process. Why didn’t we do that at university? I really believe that this observation task together with a rubric is more useful than thousands of lectures. Don’t be afraid of being assessed by a colleague! Well, I think that’s all for now. Needless to say, a course that I would strongly recommend from the very first day. Cheers! The show must go on. 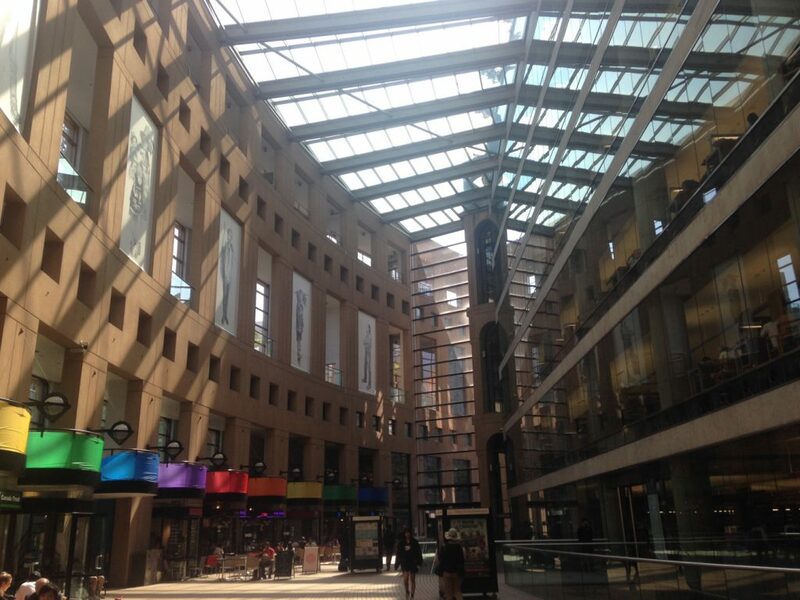 Vancouver Library, special decoration for PRIDE week. 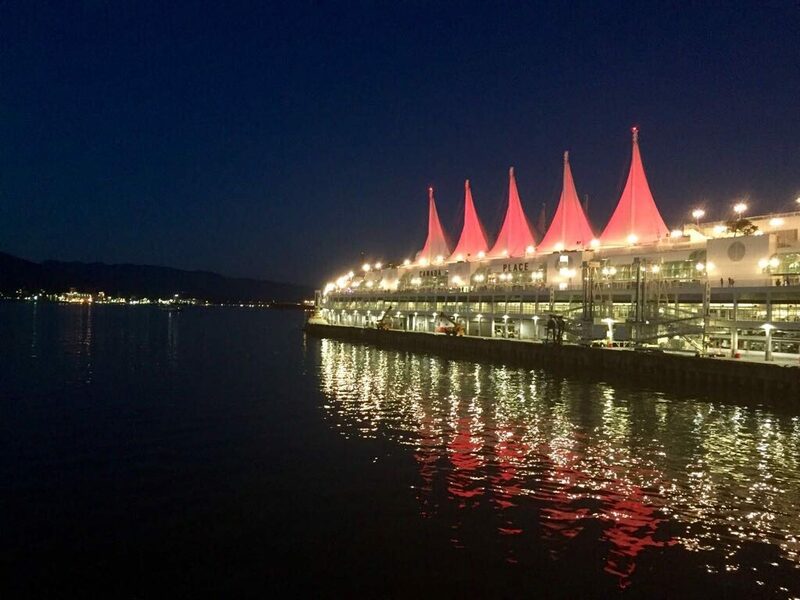 Canada Place at night. Spectacular.